The UK bank joins Samsung and Visa to provide NFC-enabled phone payments at next year’s London Olympic Games, as it prepares to roll out a broader mobile contactless payments programme for consumers. Lloyds TSB has been named as the partner bank for mobile payments at the London Olympic and Paralympic Games next year, it was announced today. In March, Samsung and Visa announced they would provide athletes at the 2012 Games with a special ‘Olympic phone’ with NFC built into it, allowing them to make small payments throughout the city. As issuance partner, the Olympic handsets will be linked to Lloyds TSB accounts. Participants in the programme using the Samsung phone will have the ability to view their balance both before and after a transaction. The announcement signals the start of Lloyds TSB’s broader mobile contactless payments programme for consumers. 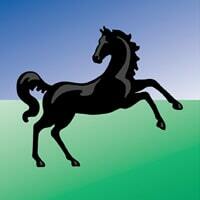 Lloyds TSB’s wider UK mobile payments plan will be rolled out in a phased approach. The programme starts with a large scale internal pilot using prepaid accounts this month, followed by a commercial launch linked to prepaid accounts by the end of 2011. But the partners believe showcasing the technology throughout London, as the eyes of the world focus on it next summer, will provide a huge boost for the technology. “The Olympic and Paralympic Games offers an unrivalled opportunity to demonstrate the power of mobile payments to a worldwide audience and further the technology’s development,” said Sandra Alzetta from Visa Europe. The partners have already said there are already more than 60,000 locations where contactless payments are accepted, and contactless and electronic card payments will be available in the run-up to and during the Games.